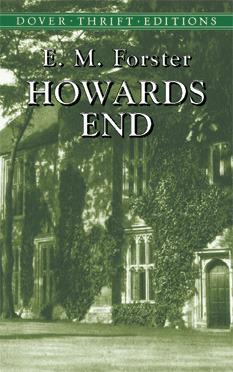 The disregard of a dying woman’s bequest, a girl’s attempt to help an impoverished clerk, and the marriage of an idealist and a materialist — all intersect at an estate called Howards End. The fate of this country home symbolizes the future of England in an exploration of social, economic, and philosophical trends during the post-Victorian era. This book did not pull me in like Maurice and A Passage to India did, but the allegories won me over. Eventually. Rather than being a novel about characters and their individual fates, Howards End is like a mirror made of fractured pieces that show the truth about society in small details and in the lack of a full picture. Aside from the monetary aspects, it’s always sad to read about a woman who sacrifices so much of herself for companionship and deludes herself to being in love. Yet, maybe the true tragedy lies not in the characters and their fate, but in the people who criticise Margaret for her choice and fail to see that women of today still marry their Mr Wilcoxes. Maybe the the most poignant of it is that they never ask why. This entry was posted in book review, rameau, read in 2013 and tagged book review, E.M. Forster, Howards End, rameau, read in 2013. Bookmark the permalink.